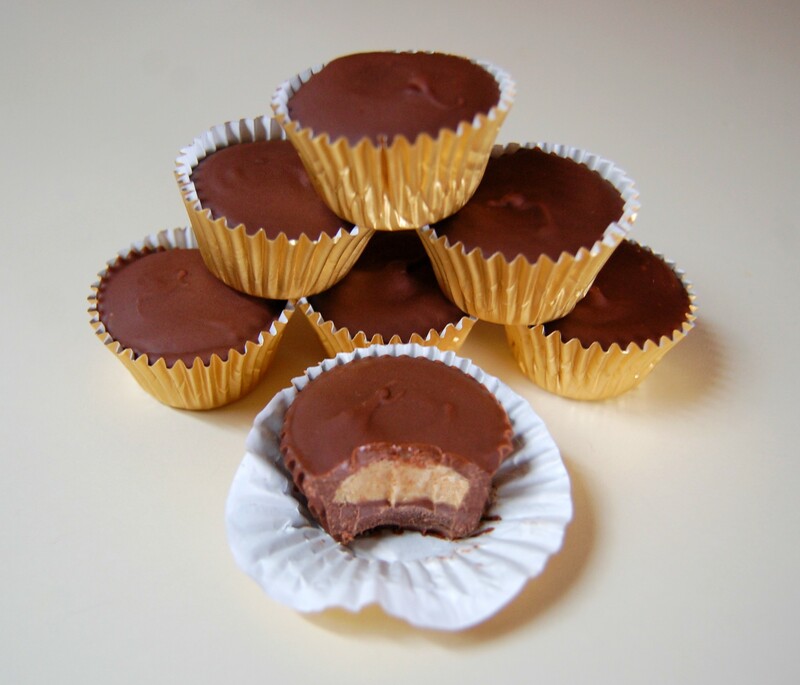 A homemade version of your favorite candy! Line a mini-muffin tin with paper liners; set aside. Line a baking sheet with parchment paper; set aside. In a medium saucepan, combine the peanut butter, butter and brown sugar over medium heat. Heat until completely melted and starting to bubble a little, stirring constantly. Remove from the heat. Add the confectioners' sugar a 1/4 cup at a time, stirring until completely combined with the peanut butter mixture after each addition. Set aside and let cool. Meanwhile, melt the chocolate chips and shortening together over a double boiler, until completely melted, stirring occasionally. Using a teaspoon, spoon melted chocolate into the bottom of each lined muffin cup. Keep chocolate warm on lowest setting. Use another teaspoon to scoop out the peanut butter mixture. Roll it into a ball, and then flatten it slightly into a disk. Place on the prepared baking sheet lined with parchment paper. Once finished with all of the peanut butter mixture, refrigerate both the muffin tins and the peanut butter patties for about 10-15 minutes. Place chilled peanut butter patties on top of each chocolate-lined muffin tin. 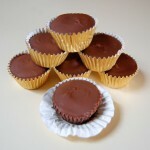 Then add another teaspoon of melted chocolate on top and around each peanut butter patty.